Making lasting change requires learning new skills that will be repeated over and over until they become habits. Habits are the “remote control” of our lives, governing virtually every action we take. 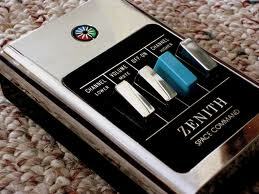 I remember our first television remote control. It had four buttons: On, Off, Volume, Channel. Oddly, these are the four I use most when I can successfully navigate the remote control to this day. Today our remote control has sixty-three buttons. Yours may have more but it is doubtful it has less. I have no idea what most of the buttons do, but I have them just in case I need them. I presume I should be comforted by all the extra features at my fingertips and the “just-in-case” features I could use should I find the need. But I’m not. Actually, I’m troubled most of the time and frustrated all of the time by my remote. And yes, you’ve guessed it, I’ve found my way out of the chair and back to the television to turn the volume up or down, change channels, and even turn the set on or off. It’s just easier than using my multi-featured remote which was designed to make my life easier. It is called “feature creep” and it refers to the things added to a device simply because there is space for it. The processor has a bit more space, let’s add a feature. We need a bigger processor to handle all the buttons, but when we add the bigger processor we have room for more buttons, and the process continues until no one knows why we have all the buttons. I’ve found that remote control to be a metaphor for my life as well. In my early years there wasn’t much to think about or worry about. My life was like that early remote with four buttons: Play, School, Sleep, Eat. Now my life is much like the sixty-three button remote I have. Thinking about all those time-saving, money-making, life-changing gadgets I’ve purchased over the years fatigues me. And that’s just the beginning. What about all the features I’ve allowed to creep into my life, the ideas and information that seemed useful at the time? And the experiences I’ve had, the careers I’ve been in, the businesses I’ve started, sold or folded. These things have slowly, methodically, and effectively crippled me. I literally have hundreds of thousands of pages of information that I’ve downloaded onto my computer for future reference. I have over seven-hundred bookmarks of websites that one day I’ll refer back to. I have over seventy domain names for websites I’ll one day build or have built. Who can keep up with such things? Certainly not me. I don’t even know half of them and forget about trying to find a document on my computer. Not a chance. I’ve simply created more information than my “remote control” can handle. I bet you have too. Which leads me to the first week of January and those pesky resolutions many of us have made. Statistically, thirty-eight percent of us made no resolutions at all and a whopping twenty-five percent more have already failed at the ones we made. If you made it this far you have a ninety percent chance to succeed through next week. After the second week you’re a mere week away from the time experts tell us it takes to create a habit. And a habit is life’s “remote control”. And while all that is interesting, what does it have to do with the remote control? Plenty! You see, I (and perhaps you) don’t use the remote control or many of its buttons because we don’t understand how to. We don’t understand how because we haven’t taken the time to learn how from someone who knows and to do it repeatedly until it becomes second nature. Most of us with New Year’s Resolutions are entering into uncharted territory. We’re embarking on actions and ideas in which we have no experience. Imagine you are watching a program on television. During the commercial break you change the channel to a different program. Depending upon how interested you become in the new one, you will either stick with the new one or go back to the old one. In life, by trial and error, we will either find our new “channel” or revert back to our old ones. But here are some statistics you should know. While it may be daunting, forty-nine percent of those who do make New Year’s Resolutions have some degree of success in positive change. Experts say those who make resolutions are 10 times more likely to attain their goals than those who do not. And perhaps the most important point of all: You don’t need New Year’s Day to make a resolution. Just as you can change the channel at any time if a program is no longer of interest to you, you can resolve to change your habit channel at anytime. Here’s what you should know. Delaying a resolution until a future date gives you more days of engaging in the undesired behavior, making it that much more difficult to change. Further, the emotion you feel when you decide you need to change that is essential in ensuring your success will wane over time. You will be ten times more likely to achieve your goals when you make a resolution. You’ll be forty-nine percent likely to achieve some measure of success when doing so. And when you engage in a new behavior for twenty-one days, you’ll create a habit. You will effectively change the channel of your life. So, resolve to be different to attain your goals. Take action for twenty-one days and switch to a new channel, creating the new habit that will put your new lifestyle on remote control. As for me, I’ve got to get up and change the channel.